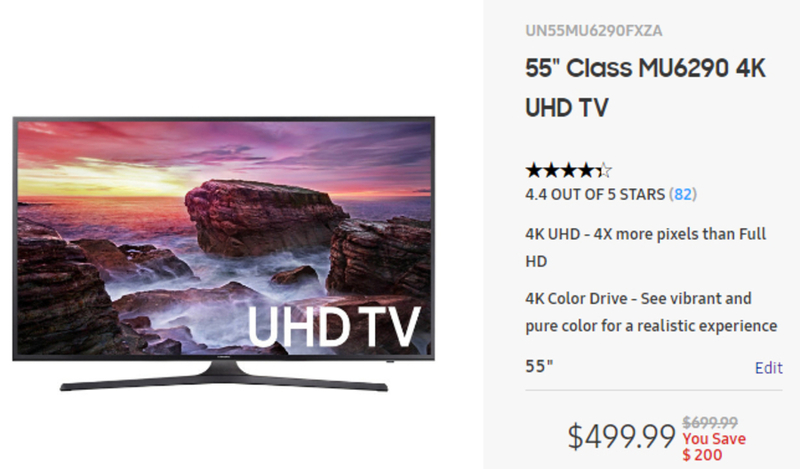 Was Samsung's Black Friday 4K TV deal a hoax? 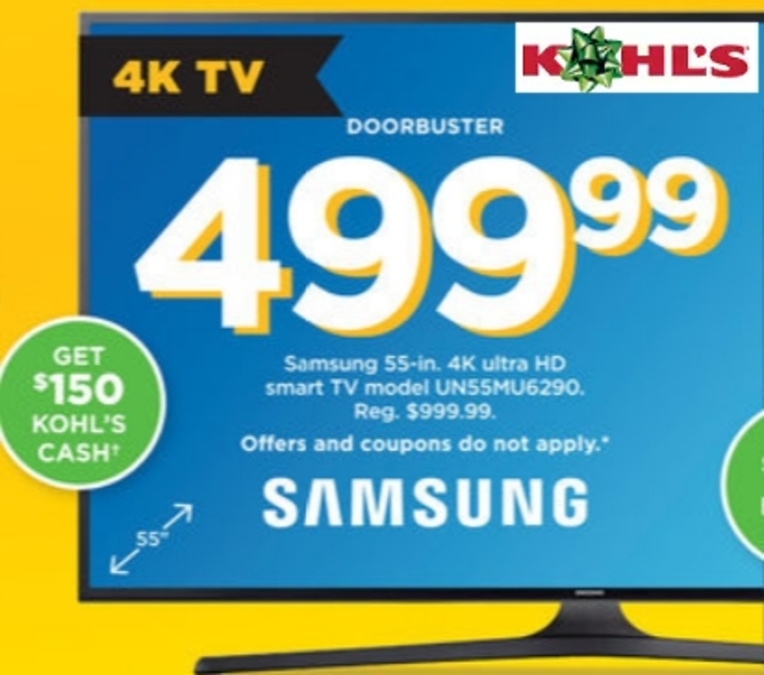 Millions of American shoppers made Black Friday plans and even skipped out on Thanksgiving dinner last week, just to get a big 4K TV at a great price. Unfortunately, a new report claims one of the biggest black Friday TV deals this year wasn't such a great deal afterall. Of all the red hot TV deals Thanksgiving night, none were hotter than the Samsung 4K TVs at their lowest prices ever. Samsung is a premiere brand when it comes to 4K, unlike Insignia, Element, Westinghouse and other "second tier" inexpensive sets typically on sale for Black Friday. So shoppers at Best Buy, Target, Walmart, Kohl's and other stores grabbed these 4K TVs the moment the doors opened. Let's be real: $499 for a 55 inch 4K is a bargain. But the website ConsumerWorld.org, in its Mouseprint column, claims some stores inflated the savings by hundreds of dollars. ConsumerWorld reports this was not some TV that sold for $1,000 a few months ago. This was a TV made for Black Friday, as it did not exist before late August, and there are few, if any, reviews. This is common with Black Friday TVs, however. Tech sites have long reported that many manufacturers release TVs specifically for Black Friday, that have fewer HDMI inputs, and slimmed down remote controls. The video quality is fine, they just cut some corners to keep costs down. Samsung tells ConsumerWorld the TVs had a "suggested" retail price of $699. According to the report, Best Buy, JC Penney and Sears all sold it for $499 on Black Friday, a $200 savings over list. But in Target's ad, ConsumerWorld says, the list price was suddenly $799, so Target Black Friday shoppers supposedly saved $300. And at Kohl's, the list price was allegedly $999, giving you a $500 savings. No doubt Kohl's shoppers thought they really snagged a bargain Thanksgiving night. ConsumerWorld says Shopko's ad claimed it was originally $1,200, a whopping $800 savings. This is for a TV that never sold for more than $699, if it ever did. According to the report, Kohl's has not commented, while Target calls the higher list price a "system error." Shopko tells ConsumerWorld it follows all laws and regulations. Bottom line: If you bought a Samsung 4K big screen on Black Friday, you got a good quality TV, though it may have been missing a few features standard on higher price Samsungs. But you certainly did not save $400 or more. It's good to know, so you don't waste your money.